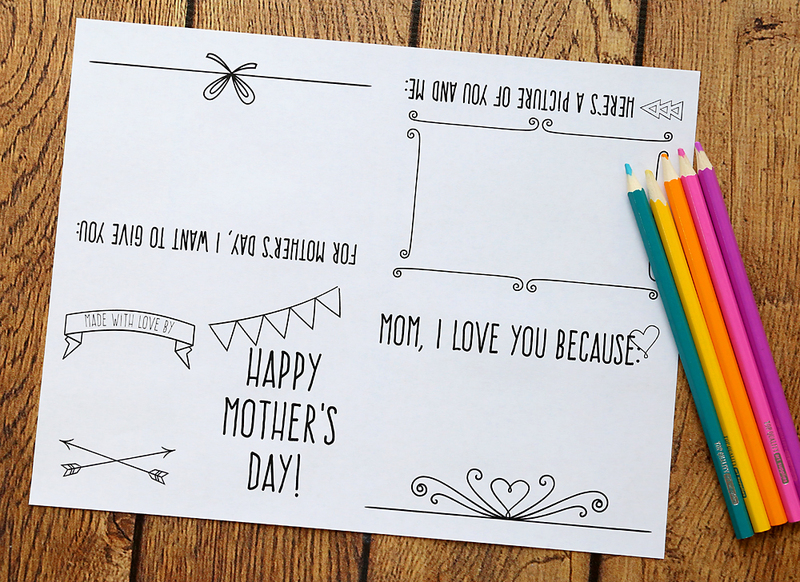 In today’s post: Download this cute printable Mother’s Day card. 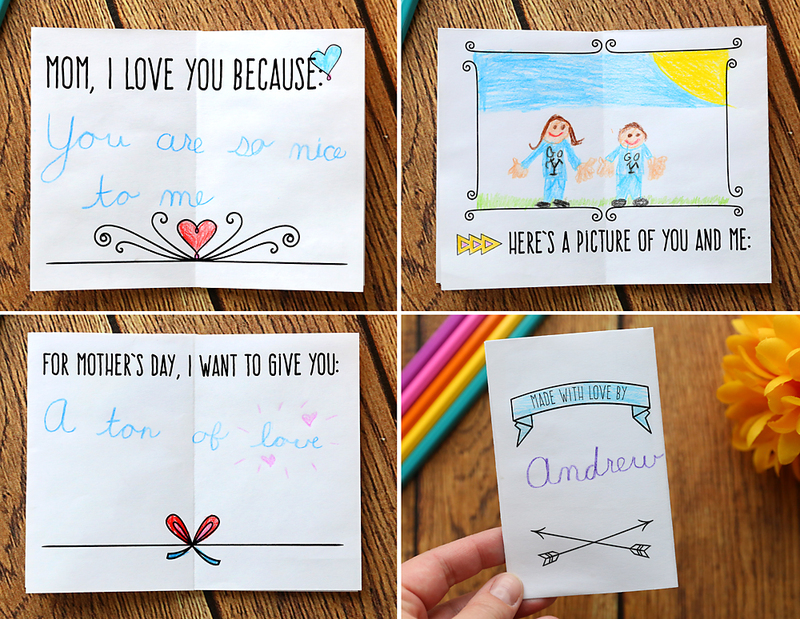 It prints out on one sheet of paper, then folds up into a sweet mini book that kids can decorate for Mom! 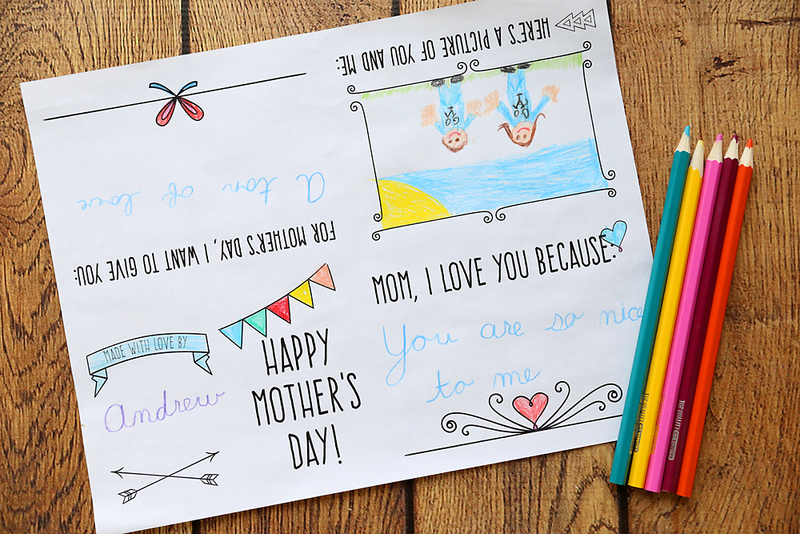 Ok people, this little printable Mother’s Day card is the cutest! I almost wish I were a teacher so I could have a whole class of kids color these for their moms. (Ok, not really. I have five kids and I don’t know how teachers manage with a whole classful!) Anyway, I had my two youngest kids fill these out to give me as an early Mother’s Day gift, and I’m just in love with what they did. And another page where they can tell Mom what they’d like to give her for Mother’s Day. My son’s answer was: “A ton of love.” Pretty sweet, right? 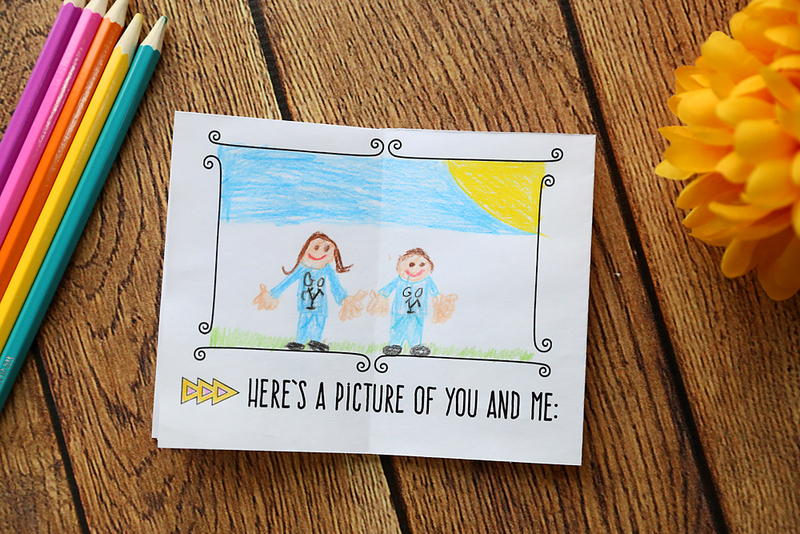 Then give it to kids and let them color, decorate, and write on it. 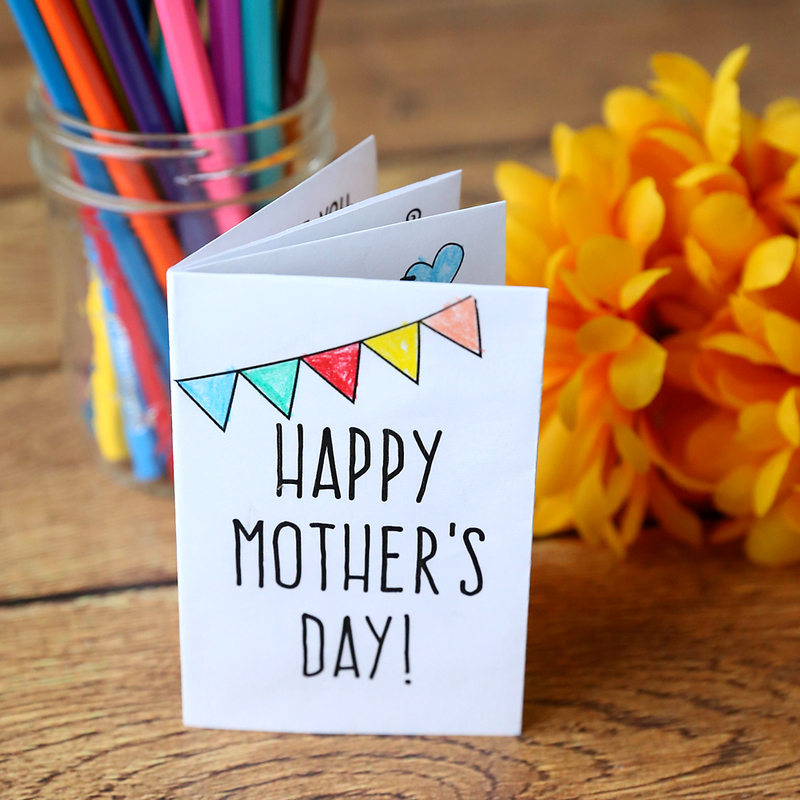 Note: This video shows a different printable than today’s Mother’s Day card, but the folding instructions are exactly the same. To get the printable for the mini foldable book, click here. Love this book! 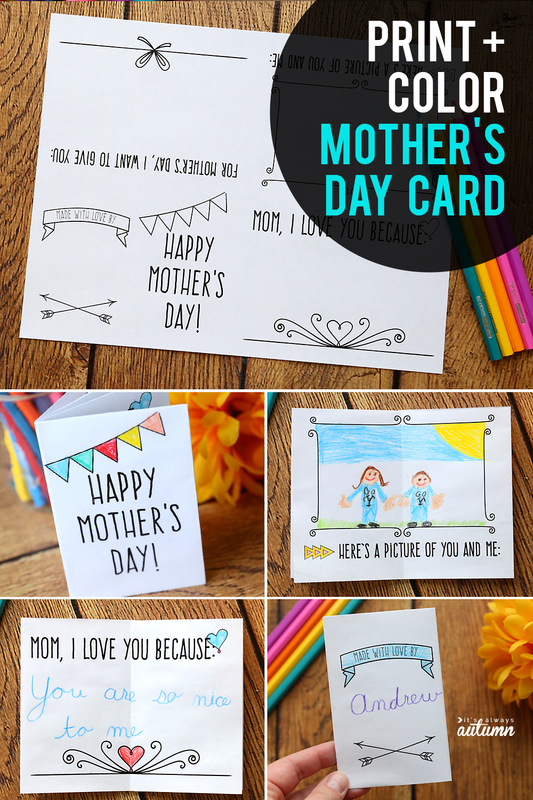 Do you have a similar Mother’s Day design for Grandmas and Aunts?